Sean Dyche welcomes Liverpool to Turf Moor hoping for the much needed improvement that can turn around his side’s season. After qualifying for European competition last season not much has gone right for Burnley and they currently find themselves at the wrong end of the table before the visit of Liverpool. 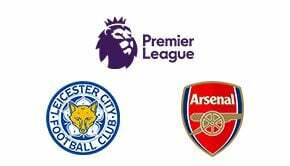 They are on a particularly bad run of form at the moment and will not be relishing having to deal with the attacking threat of Jurgen Klopp’s side. Liverpool have looked very impressive this season and are emerging as the real contenders to Manchester City’s title aspirations. Even without Mo Salah repeating last season’s heroics, they have been more than a match for the majority of their opponents and have not lost against any of the other top sides in the Premier League. Although hardly a distinctive problem at the bottom of the Premier League, Burnley have had real trouble scoring goals regularly this season with the strikers not able to consistently find the net. 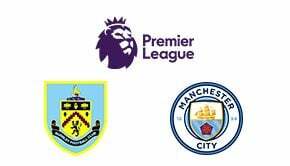 Defensively Burnley have also been poor and have suffered some heavy defeats at the hands of Manchester City and Chelsea – among others. Liverpool will be expecting all three points from their visit to Turf Moor as they look to consolidate their Champions League spot and carry on their fine performances both domestically and in Europe. A victory seems the most likely result from this one, with Liverpool winning 3-0. Liverpool have so many goal scoring options that it seems inconceivable that they won’t find the net on a number of occasions against Burnley. Jurgen Klopp’s men have kept a clean sheet a number of times already this season and Burnley’s misfiring forward line are unlikely to trouble Alisson in the visitor’s goal. Liverpool have been stronger in this fixture over the years and won 2-1 at Turf Moor last season with goals from Sadio Mane and Ragnar Klavan. Liverpool may have had their goalkeeping issues last season but the purchase of Alisson has changed the look of the team and they have now kept the most clean sheets in the Premier League. Burnley may not have scored many this season but when they do Johann Gudmundsson is usually involved. He has four assists so far this campaign. Liverpool have not lost to Burnley since 2005 when they fielded a weakened side for an FA Cup tie. A farcical own goal from Djimi Traore settled the game that day and you would have to go back to 1983 to find the next most recent Burnley victory. Joe Hart has been the busiest keeper in the Premier League this season, making more saves than any other custodian.